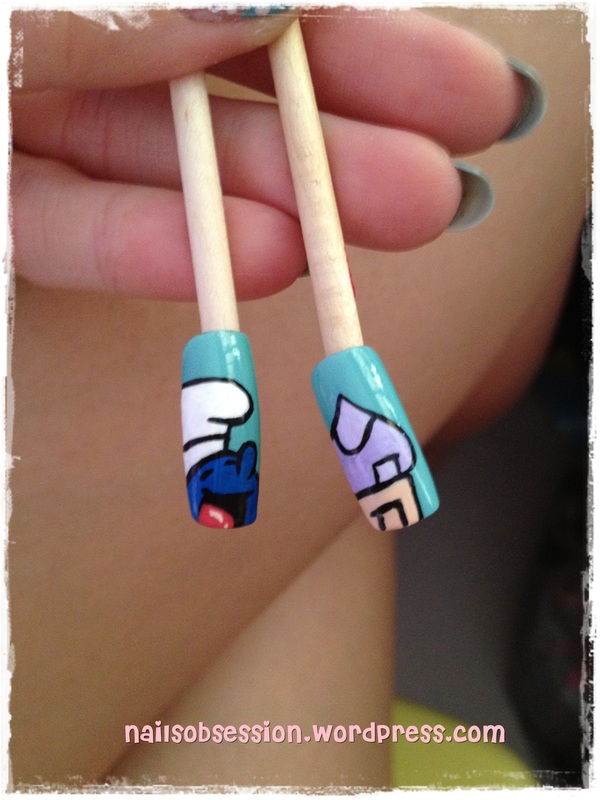 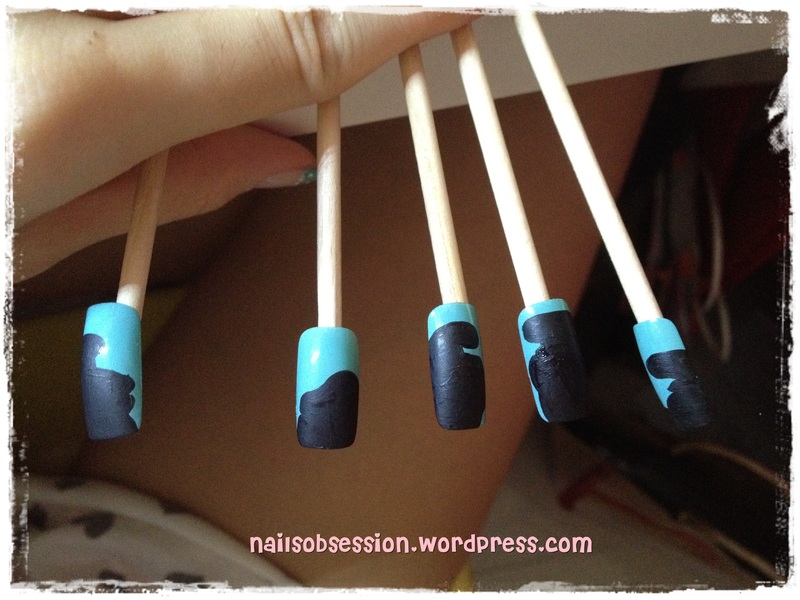 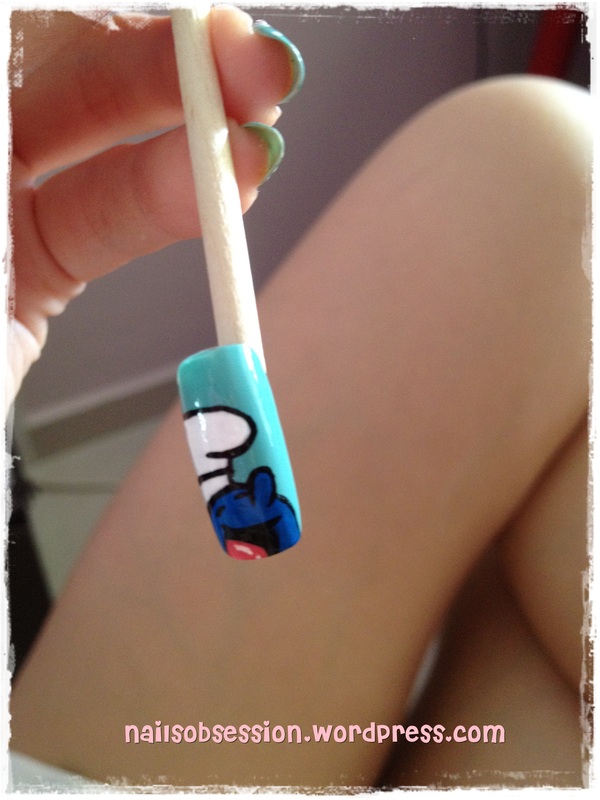 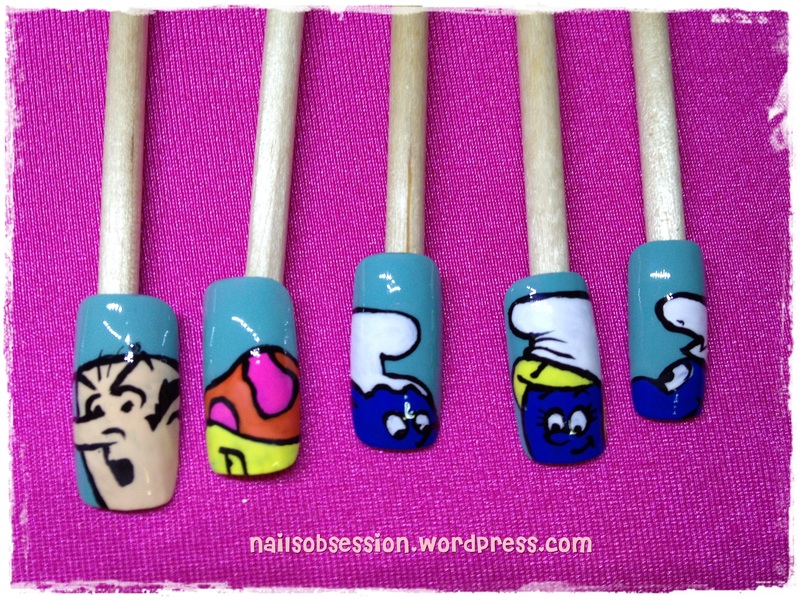 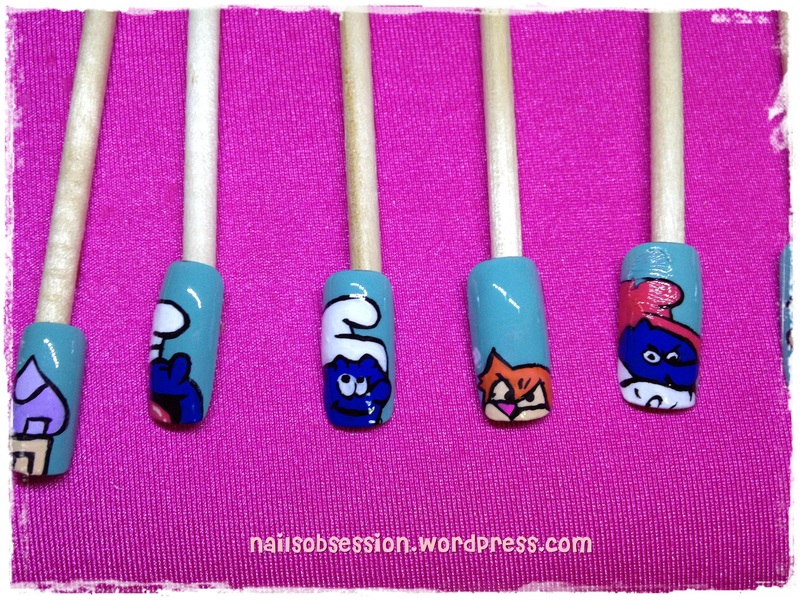 It was a lazy Sunday so I was finally willing to start on Smurfs nails after much procrastination, lol! 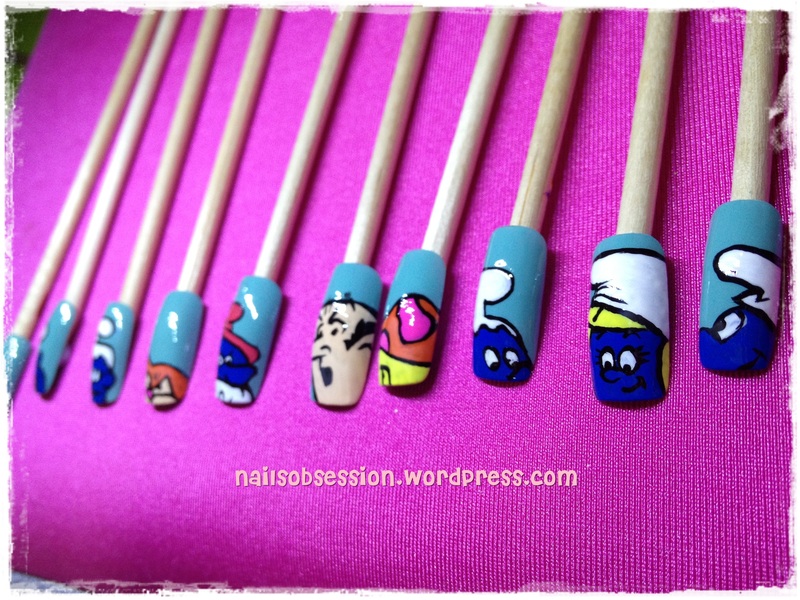 Had a few requests for Smurfs nails but I’ve always been too busy (excuse hahaha) so I ignored those requests until recently my cuzzie told me that she wants Smurfs nails for my bro’s wedding! 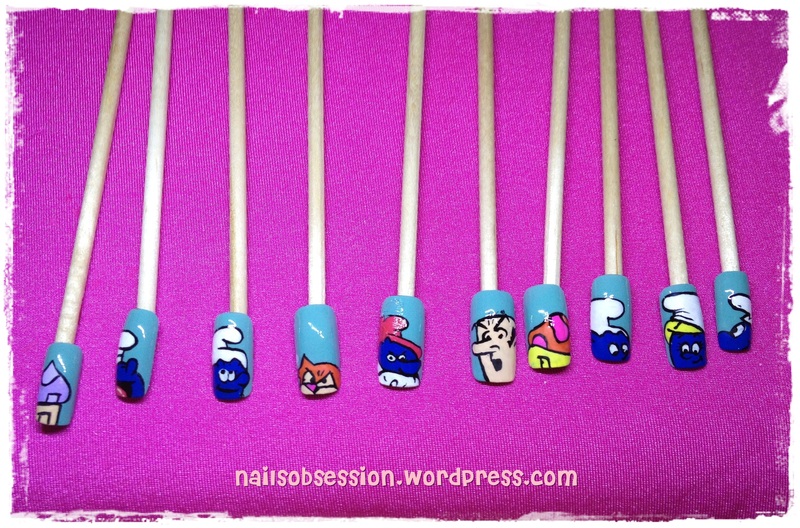 Drew out the outline of the characters first.